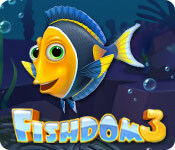 Fishdom 3 is rated 4.4 out of 5 by 47. Rated 5 out of 5 by pheonix21 from love, Love, LOVE!!!! These fish!! Fishdom is first game I ever bought when I got my first Mac 9 yrs ago and still love them. Graphics are great, fun factor off the chart because of the fish. They are hilarious!!! How they programmed this game is just the best!!! Seriously!! Love all the tanks and decorations but did I mention the fish??? Great job Playrix. Make more like this! Rated 5 out of 5 by BlackwellFan25 from An Enjoyable Game For Everyone! Fishdom 3 is one of the FANTASTIC games I ever played. I really LOVE it. To be honest, I'm not into Match 3 games, but this one is just really fun to play! I also LOVE how your adorable fishes interact with each other and when you're having a bad day, they will somehow cheer you up. The fun part is you could decorate your fish tank, plus... you can make it your own screensaver! The difficulty of each levels are just right for me. Also, the graphics and the soundtracks of this game is really nice. Rated 5 out of 5 by Jayce69 from Not a match 3 person much but loved this game I was worried because I saw so many people say they got stuck on a level. But I played it anyway. There is no unsolvable level. You just have to figure out how to solve the one. If you make the wrong move, you have to start over and figure out how not to make the wrong move. Easy once you figure it out. 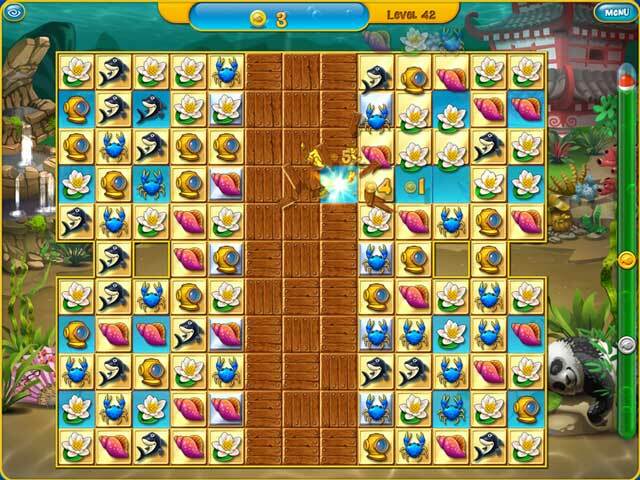 There were many different shapes of boards with each their own level of difficulties. For fun I went ahead and built up 10 big fish tanks all with fish, and then built up a million coins and got to some really extreme levels. Interesting to note, you cannot go any higher than the million coins! So that was sad. Rated 5 out of 5 by elemengee from Cuties The fish in this game are adorable and the fishes' comments are so clever. It's fun to open a new fish tank and decorate it. It seems silly that an adult can be drawn into the game by the fish and their comments, but they keep me smiling while I play. The matches are not much of a challenge---you win all the time so it's just a matter of how long it takes you to complete the matches. Rated 5 out of 5 by cheekybrandy from Best M3 game ever. I don't think there is a M3 game that could beat this game. I absolutely loved it. I have come to a stage where I can't really go much further with it and have moved onto other games but I miss my little fish and the way they interact with you and how funny they can be at times, I had some good laughs. The graphics are great, the colours are wonderful and I really enjoyed putting together the different aquariums. Wish there were more M3 games as good as this one. 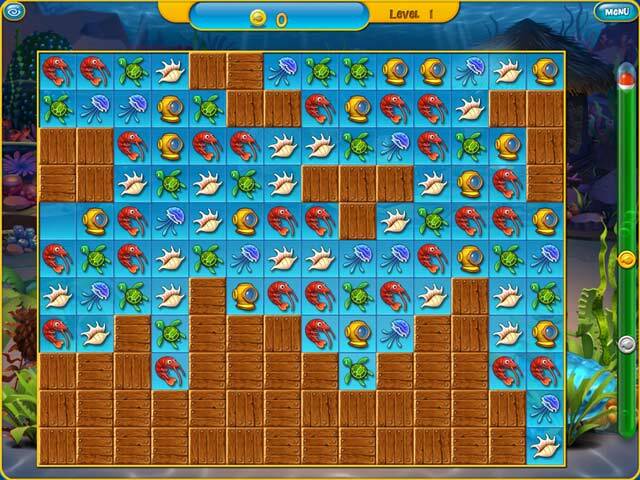 Rated 5 out of 5 by rodneywalters from fishdom3 fishdom3 is a very fun game and i like playing the game even though it is a very hard game to play and i would recommend this game for any one that likes to play matching games. Rated 5 out of 5 by elwilgo from The only match 3 game I play. 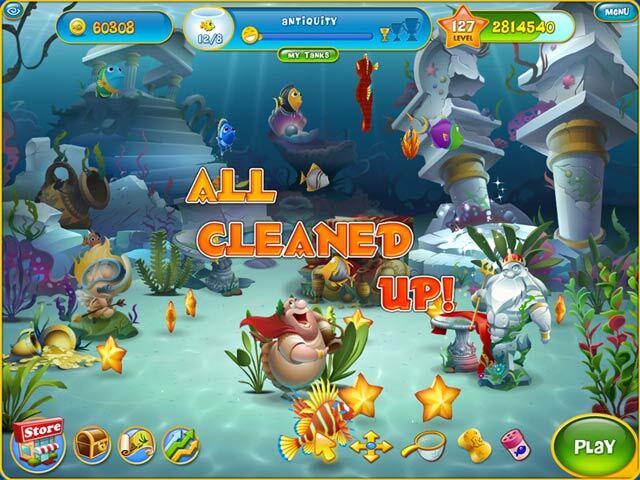 This is so enjoyable, improving your fish tanks between levels is great fun! There are several different kinds of fish, decorations and plants to design the tank(s) with. The match 3 is relaxing and getting gold, or at least silver, is relatively easy. Again, I'm not a match 3 fan, but tried this when it was the daily special... and bought it quickly. I play it often. An absolute must-have for match 3 fans... and even non-match 3 fans! Rated 5 out of 5 by deddu from MARVELOUS - 3 Match Plus Great game and fun for everyone. You play to buy fish tanks, decorations, plants and, of course your fish. The fish are so cute -- they talk to you!!! You must clean the tanks from time to time and feed the fish. This is a game to play over and over gain. Enjoy.